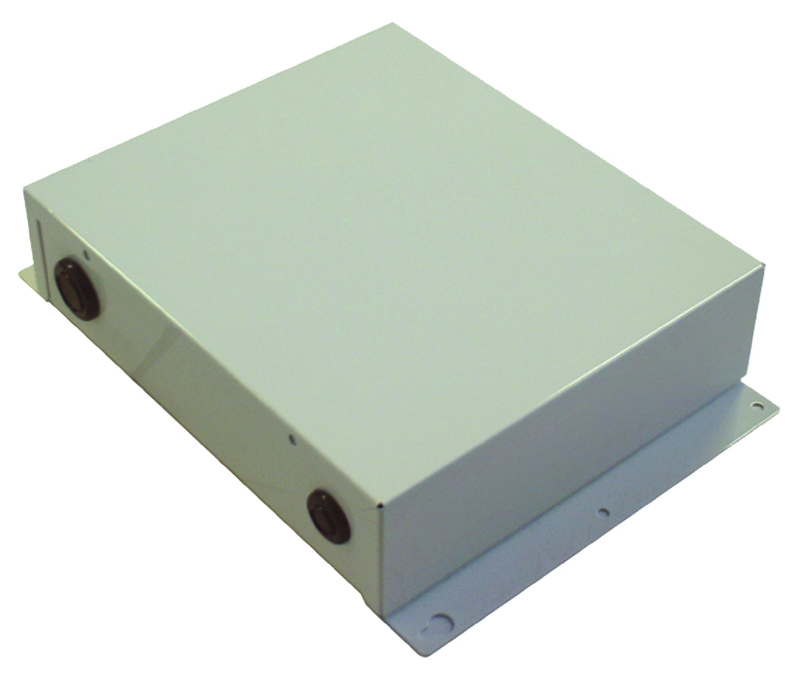 Up to 8 remote controller groups can be controlled by one Group Remote Controller. 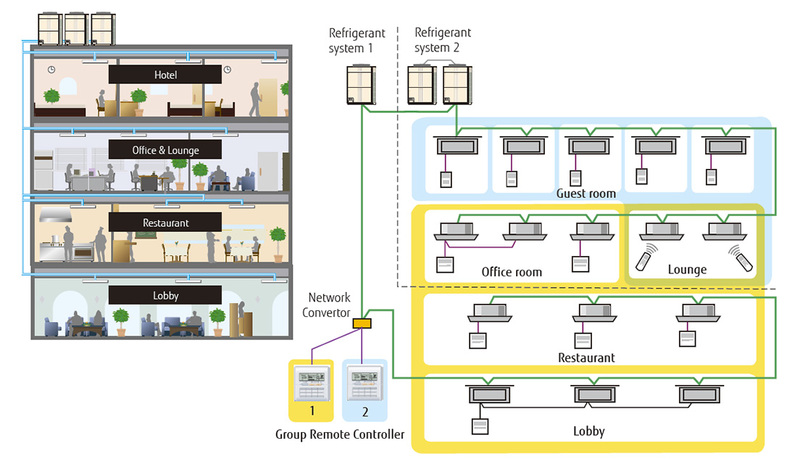 Up to 64 Group Remote Controllers can be connected in one VRF network system. Single Group Remote Controller controls and monitors up to 8 remote controller groups. 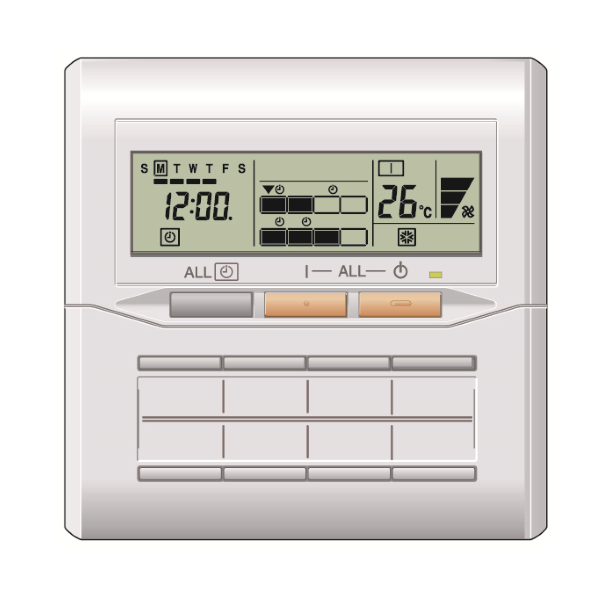 ON / OFF, Operating mode, Room temperature and Fan speed setting can be controlled / monitored centrally or individually. The weekly timer is provided as a standard function.